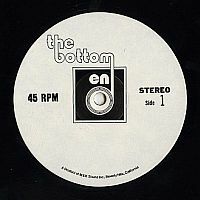 M&K Sound Inc: "The Bottom End"
The Bottom End ("Get Off The Ground") LP was recorded in 1975 by Baaska and Scavelli, featuring Jamie Faunt and Kenny Park, at M&K Sound Inc, on Wilshire Boulevard, Beverly Hills, California. Allen Zentz, whose initials (Az) are inscribed on the vinyl. "The Bottom End" LP (45 RPM) featuring the, "Get Off The Ground" on Side 1, is: M+K 112 Az. Record Technology, Inc, who are a world class pressing plant that specialise in LP Laquer cutting. 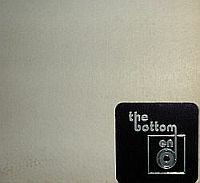 These Record Technology Inc pressings of "The Bottom End"
("Get Off The Ground") are extremely rare, as only 5 were made. 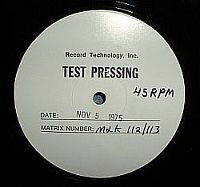 Record Technology Inc: "The Bottom End"
"The Bottom End" LPs were pressed after his approval of the disc. There have been other pressings, or re-cuts of The Bottom End LP. This usually occurs when a problem develops with the disc mastering or stamper. Also, the primary pressings are of a higher quality sonically, as the stampers have a tendency of wearing out after the first batch. This is why the originals sound the best. 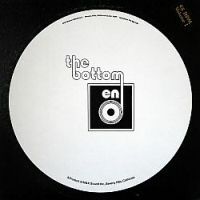 "The Bottom End" LP with the matrix number M+K 112 Az on Side One, is recorded at a higher/louder level, and has more clarity within its sound. 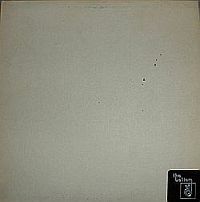 This pressing also possesses more "Bottom End" within the bass, producing a fuller sound. 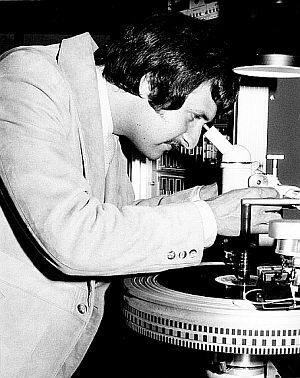 Allen Zentz experimented with reproducing the quality of sound after the first LPs were cut, which resulted in these additional pressings. a truly exceptional piece of Audiophile recording.